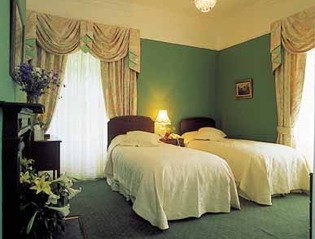 Antique furnished, en-suite bedrooms, direct-dial telephones, hairdryer and tea & coffee making facilities. Extensive breakfast menu, fully prepared by Dinah, featuring a selection of home baked bread and preserves. "Your place is beautiful, your cooking fantastic and your hospitality wonderful... We really were glad to meet you and your family and felt so much at home... and that's no Blarney!!!"